I was reading an interesting book on the bus on the way into work this morning – ‘Tracing Your Family History: Merchant Navy’. It’s one of a series of guides to tracing military ancestry (Army, Royal Navy and Royal Air Force being the others) published by the Imperial War Museum. The Merchant Navy played a crucial role in both world wars. Not only did it transport vital supplies and personnel but many ships were converted for war work. Some were armed, others carried out tasks such as minesweeping. One major memorial to the Merchant Navy is the Commonwealth War Graves Commission memorial at Tower Hill, London. 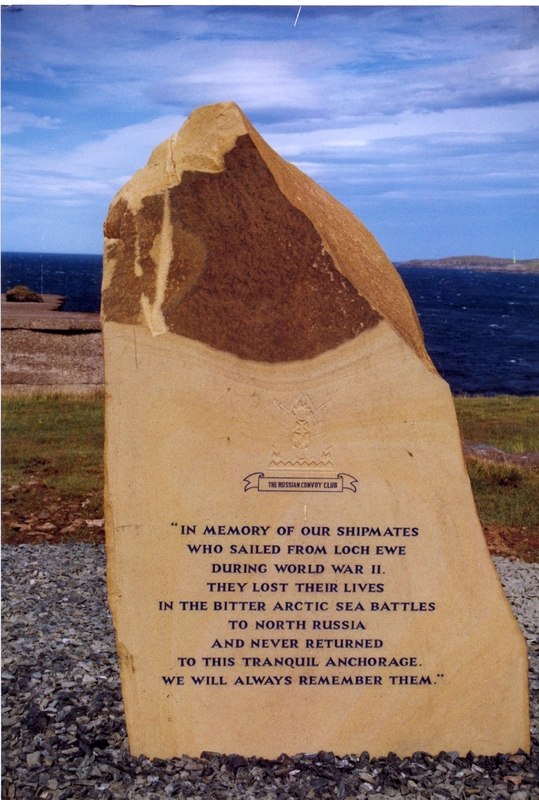 It is inscribed with the names of 36,000 members of the Merchant Navy and fishing fleets who died during the First and Second World Wars and ‘have no grave but the sea’. Another memorial is the site of the Church of Holy Rood, in Southampton. Erected in 1320, it was known for centuries as the church of the sailors. When it was damaged by enemy action on 30 November 1940, the ruins were preserved as a war memorial dedicated to those who served in the Merchant Navy and lost their lives at sea. Where you find the names of members of the Merchant Navy on memorials, you may also find their wonderfully evocative ranks: Donkeyman; Greaser; Fireman; Trimmer; Boy. This photo shows troops cheering the arrival of the merchant ship Melbourne Star into the Grand Harbour, Valletta, Malta. The Melbourne Star arrived on 13 August 1942, after an epic voyage across the Mediterranean (only 5 of the original 14 merchant vessels made it) as part of convoy WS21S (Operation Pedestal) to deliver fuel and other vital supplies to the besieged island.